South Africa’s government will overhaul its visa rules by the end of next month to promote tourism and make it easier to do business, as part of a package of measures aimed at reviving an economy that’s mired in recession. Minors who are foreign nationals will no longer require a copy of their birth certificate and consent from both parents to enter the country, Home Affairs minister Malusi Gigaba told reporters in Pretoria on Tuesday. Visitors from India and China will also not have to apply for visas in person at a South African embassy, while business travelers from those nations will be issued with 10-year multiple-entry visas within five days of application, he said. More than 10 million people visit South Africa each year, a number President Cyril Ramaphosa’s administration wants to increase exponentially as it seeks to create jobs for the 27% of the workforce that’s unemployed. The tourism industry has complained that stringent new visa laws introduced in 2015 — which the government said were necessary to combat child trafficking and terrorism — had prompted many travelers to consider alternate destinations. “It is a challenge inherent in immigration management to detect, prevent and act against risks without unduly inconveniencing law-abiding travelers,” Gigaba said. 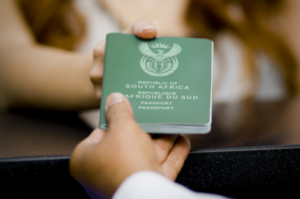 Visitors from a number of countries, including the UK, U.S., Germany, France, the Netherlands, Australia, Brazil, Canada, Russia and Angola, don’t need visas to come to South Africa. The government is in talks about extending the exemption to other nationals, including those from Algeria, Egypt, Morocco, Sao Tome & Principe, Ghana, Saudi Arabia, the United Arab Emirates, Qatar, Iran, Lebanon, Kuwait and Cuba, Gigaba said. The government plans to smooth the clearance of travellers through the busiest border posts, by installing a biometric movement-control system. The new system is nearing completion, with several pilot sites already up and running.